Angling for trout in the mountain. In the Upper Setesdal mountain lakes you have every chance to catch some nice trout. Some of the lakes are situated close to the road, whereas others require a long hike before you may throw your bait. Most fishing permits may be purchased via SMS (only valid for Norwegian addresses). They are also sold at service stations, various stores and tourist information offices. See website for fishing permit vendors and SMS codes. 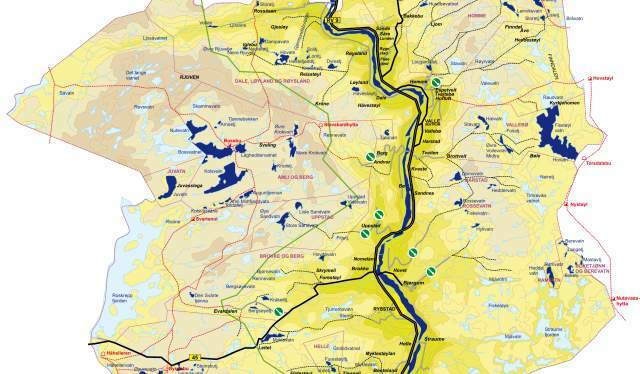 Fishing permits are available for all the lakes and sections of lakes marked with dark blue colour on the map. The various areas have separate fishing permits. On the map you will find the respective SMS codes. Please note that the SMS service only applies to Norwegian addresses. 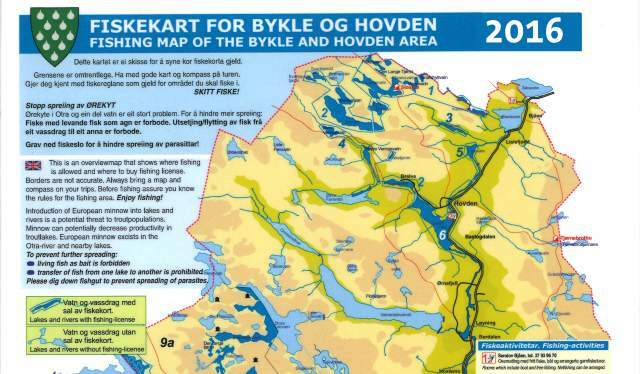 Fishing permits may also be purchased at the Hovden tourist information office. 3) You will receive a text message from SMSpass DA. 4) The message contains the required payment information. 5) Pay within 14 days to avoid a fee. The river Otra is one of the largest waterways in Southern Norway and has a large stock of trout. One fishing licence covers 150 kilometres. The vast mountain areas between Setesdal and Ryfylke constitute a part of the Setesdal Vesthei – Ryfylkeheiane. The 6154 km2 area is the second largest wild reindeer habitat in Norway and home to the southernmost population in Europe of these animals.